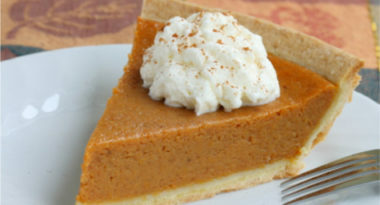 Did You Get Your Slice of the Thanksgiving SEM Pie? This year’s Thanksgiving weekend shopping binge was a feast of fortune for both retail search marketers and online retailers as shoppers indulged their cravings for savings. Based on the latest paid search data results for the U.S. retail industry from Thanksgiving Day through Cyber Monday, MediaPost.com reviewed the top search engine marketing (SEM) trends to see what the weekend brought to the table and what’s looking merry and bright for the holiday season. 1. Sales from Search Marketing Were Cooking on Thanksgiving Day – While the oven was getting warm, online shopping was really heating up. By leveraging innovative search strategies and promoting early-than-ever sales opportunities, both search marketers and online retailers had plenty to be thankful for on Thanksgiving Day. This year’s sales revenue jumped 65 percent higher than last year’s yet was driven by a mere 10 percent rise in total search ad spend. While online shoppers were hungry for pre-holiday sales, the average online order value was actually 19 percent higher than last year as consumers strived to be the “early bird” for special savings. 2. Black Friday Brought Plenty of Shoppers to Stores – The post-Thanksgiving shopping spree is traditionally an in-store phenomenon and this proved year especially satisfying since so many retailers integrated greater online promotion of their Black Friday sales days before the Friday frenzy. This digital marketing strategy was successful because online advertising gave consumers a sneak peek at in-store deals and served as strong online motivation for shoppers to go to stores. 3. Cyber Monday Served Up Success – On Cyber Monday, shoppers were ready to click to pick up savings while marketers were armed with advanced technology automation to capture the higher traffic. The day ultimately delivered 66 percent more paid search impressions and a 57 percent increase in clicks than last year. In addition, marketers wrapped up a 52 percent jump in conversions and a 44 percent rise in revenue, yet figures were expected to soar higher as more data came in. Interestingly, the average order value decreased by 5 percent from last year, yet this was attributed to consumers shopping around for the lowest prices and free shipping offers rather than stocking up at only one retailer. 4. Paid Search Satisfied and Offers Second Helpings of Holiday Opportunities – Paid search proved to be a crowd-pleaser throughout the Thanksgiving shopping weekend. Fortunately, it’s not too late for retailers to increase their digital marketing spends and help themselves to higher returns. This year, retail search marketers generated approximately $6 for every $1 invested in paid search from Nov. 1 through Nov. 26, which translated to an 11% rise in return on ad spend from last year. In addition, online ads continue to perform very well and the holiday shopping season has only just begun. Given the pre-season success of Web-based shopping and search, online retailers and their digital marketing strategies should be in for a hefty helping of holiday marketing success. To discover how the power of innovative search engine marketing (SEM) can improve your digital marketing results, contact MDG Advertising today at 561-338-7797 or visit mdgadvertising.com. MDG Advertising, a full-service advertising and digital marketing agency with offices in Boca Raton, FL and New York, NY, specializes in developing targeted Internet marketing solutions, exceptional creative executions and solid branding and media buying strategies that give clients a competitive advantage. Our core capabilities include branding, logo design, creative, digital marketing, print advertising, direct mail marketing, media planning and buying, TV and radio, video, Web design and development, email marketing, social media marketing, search engine marketing (SEM), and search engine optimization (SEO).